Snapchat is a teen/tween phenomena! Or is it? Some say that this photo and video messaging social app has the potential to overthrow huge giants like Facebook and Twitter. The videos or pictures posted exist only for a short window, after which they simply dissolve and disappear. 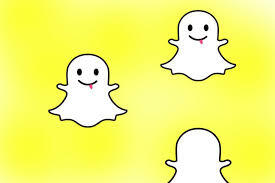 Snapchat has over 100 million daily active users – yes you got that right! Over a 100 million! And about 400 million snaps are being sent every single day! About 55% of students say they would buy something if they got a coupon or offer on Snapchat! So why are marketers, all excited about this teen-oriented messaging system? Let’s face it – most people wake up and reach for their Smart phones to check Social Media – be it Facebook or Instagram or Twitter or Snapchat! Snapchat is the new kid on the block – but then it is a kid with a difference – it has oodles of potential! The first business to use Snapchat was the New York city-based yoghurt shop called 16 Handles. In keeping with the characteristics of the messaging service, they came up with a campaign – a customer needed to send a Snapchat picture of himself tasting yoghurt at the store to 16 Handles’ Snapchat account. They would, in turn send you a coupon to your account. This coupon would give you anything between 16 – 100% off on your purchase. And you can open this coupon only at the sales register when you are ready to bill your purchase – because the coupon deleted itself 10 seconds after you opened it! Isn’t that an amazing example of tailoring your marketing campaign to suit the medium you were running it on? There are many things one can do, when considering marketing on Snapchat. What 16 Handles did was super cool – and there are many ways of tweaking that campaign to suit your business. But there are other ways to send offers and promos to your customers’ phones as well. Businesses can send offers that interested customers can take screen shots of, and use them later online or in stores. And this is measurable – you can easily find out how many people actually made use of the offer! You can send your customers, snapshots of what happens behind the scenes – people normally love checking these out. And you can send them casual and fun pictures that can make them connect with your brand on a very personal level. You could do this with any new products or new ideas that you are planning to launch – as teasers. And you can get your customers excited about your products even before you actually launch them! There is an option on Snapchat called “My Story” – now this lets you add pictures or videos that will be visible to your users for as long as 24 hours. Making use of this feature, you can tell your customers a creative and compelling story – with either pictures or videos. The whole essence of Snapchat is that it is fun! Which is why it appeals to the youth so much. You can see an image only once and only for a short period of time! This can be used by brands to convey happy and fun images that will build a great ‘fun’ aspect to them. So brands needs to make the content fun – and worth watching. Content that will be easy for customers to engage with and then remember! Just like the 16 Handles campaign, Snapchat gives brands the opportunity to create fun and engaging campaigns through which customers can engage and interact with them. You can do contents and competitions – promos and offers. Customers love that kind of thing. SnapChat has introduced something called a Geo-filter – they are overlays that can be accessed in certain locations. And brands, artists and designers can send their images to be made available to the community they choose. Brands like MasterCard can lap this up – making branded Geo-filters that will be available at specific places. Or a car company can use it to sell the idea of a drive in a picturesque location with a branded Geo-filter. Since the pictures of videos stay only for a few hours, maybe a coffee company can have some filters that appear only in the morning! These are some of the things that brands can do to engage with their customers and increase brand awareness – and we are not even getting into the realm of paid advertising (which we know is pretty steep). It costs a lot to advertise on Snapchat. It is reported that brands need to pay as much as $750,000 a day for its new ads! (Snapchat hasn’t commented on or confirmed this) and this is higher than what YouTube charges for its masthead, about $500,000 a day! There are issues with its reporting capabilities. There is no effective way to measure how a campaign is performing right now, although they are working on this! And when the content disappears so quickly, brands will be wary of paying so much! And the biggest issue of them all – Snapchat is huge among the youth and not the older people. But it is something that is quite akin to a phenomenon – and it would be a mistake for marketers and businesses to ignore its potential.